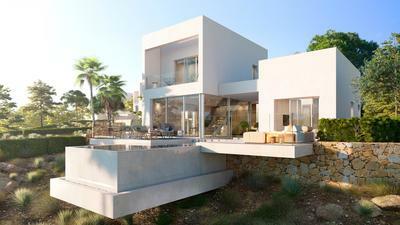 We now have available just 4 of these stunning Las Colinas Golf Resort Villas For Sale. 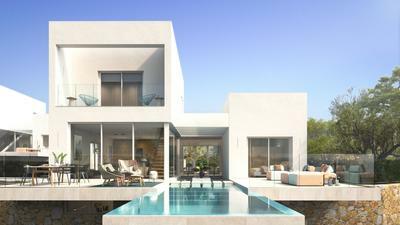 The villas will be built by one of Spain's leading developers and come with a host of features. There will be just 4 of these elegant south facing properties built, which will all feature a cantilevered swimming pool, which crosses the villa, and an outdoor kitchen area. Each property will offer 161.5 sqm of built home area, with 93sqm of terraces, with plots ranging from 752sqm-1,042sqm. 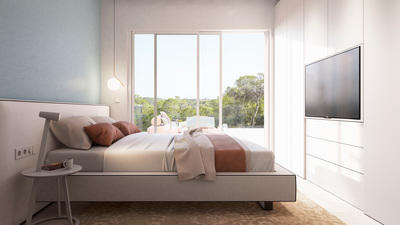 On the ground floor, there will be a guest suite bedroom, with its own private bathroom. A modern open plan main living space, with living, dining and kitchen area, complete with a selection of appliances, and a guest bathroom. 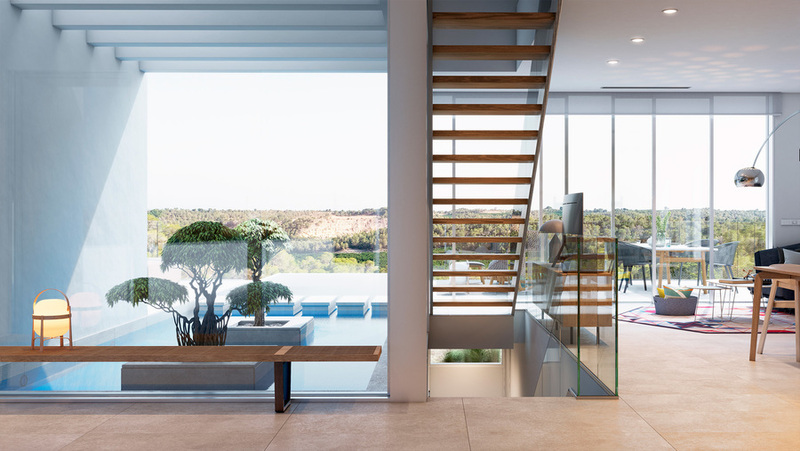 From the main living space, there are floor to ceiling sliding doors, which open out to the terrace, garden, and pool area. An aerial glass & metal staircase takes you to the first floor where there are a further two large double bedrooms, with fitted wardrobes, and a modern house bathroom. 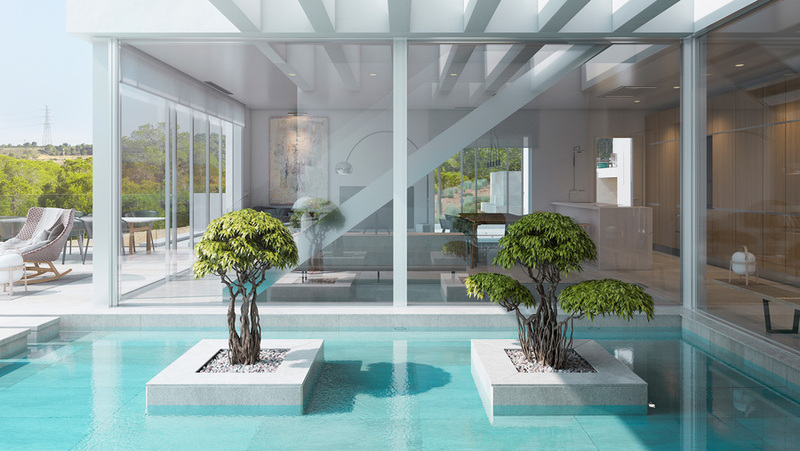 From this level, you also have access to the first-floor terrace and solarium. 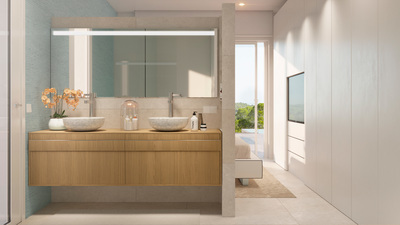 Each villa also comes with a home automation system, and an open plan basement with natural light which can be configured and finished to your own specification choice, as an extra feature. These villas here at Las Colinas Golf & Country Club must be seen to be appreciated. 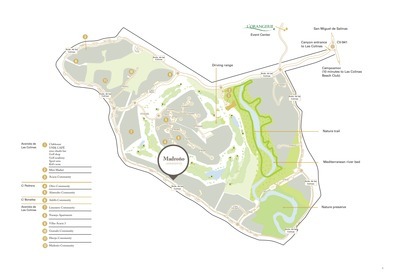 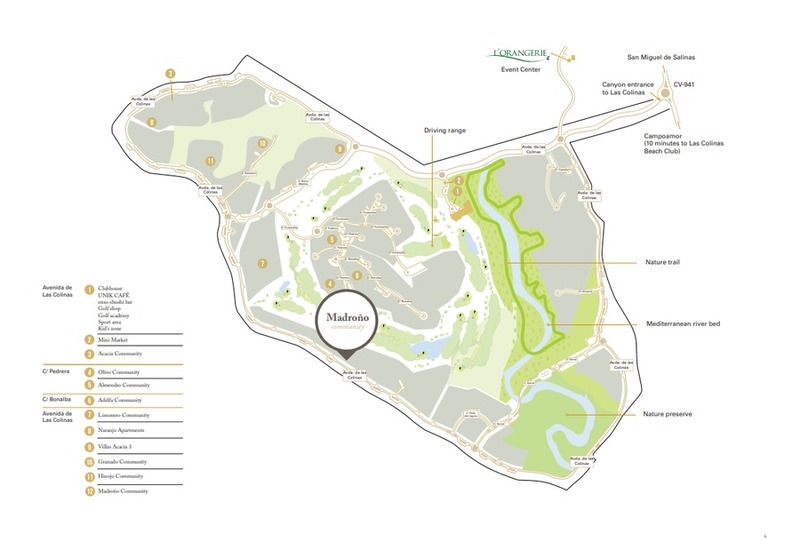 Everything in Las Colinas Golf Resort is 5 star, from the 18 hole golf course, Miguel Jimenez Practise facilities, to the range of amenities on site, such as the tennis and padel courts, UNIK Cafe, Enso Sushi bar & More. 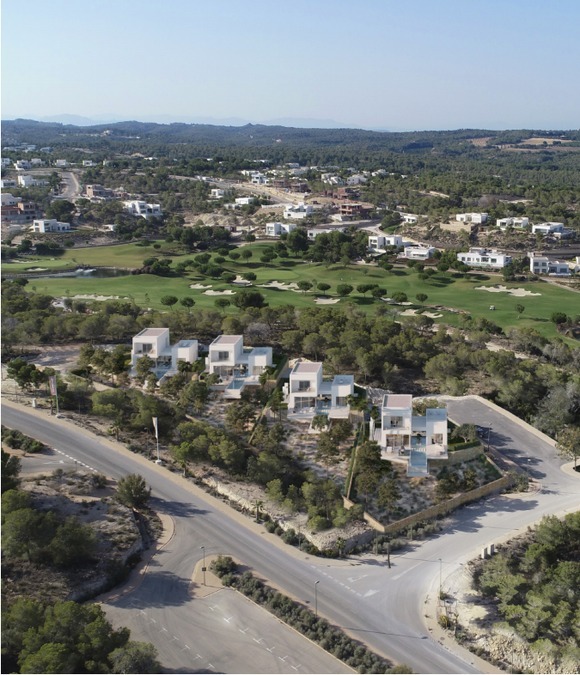 Owners here at Las Colinas Golf Resort can also make use of the exclusive beach club, which is soley for use of residents and is set on the blue flag beaches at Campoamor.